the more clarity there is. you don’t come to a conclusion. „Within three weeks, around 40 creative hours Ady Elzam, the charismatic Israeli choreographer and a teacher of contemporary dance and contact improvisation have been working at the independent centre of dance and personality I-DEJAS MĀJA with Latvia’s dance professionals and amateurs, creating score improvisation performance that promises to be different each time of it’s several times of performing as it contains presence every moment and it reacts vividly on common space, common time, common atmosphere. The atmosphere is created by the spectators, their mood, the weather, sounds, movements in the environment where the performance takes place. And the movers react on this all, being conscious every moment. 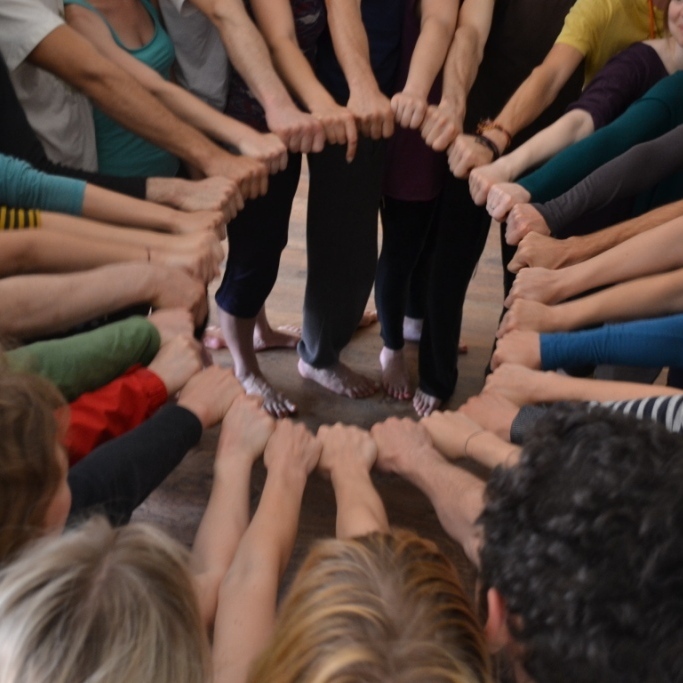 That’s why the performance is not being set at the rehearsals of the improvisation performance- movers are sharpening up their awareness, sensitivity, inner freedom and get to know themselves deeper during these rehearsals. These rehearsals are deep self knowledge processes- for being able to offer the spectator deep sensation of the presence through this performance.